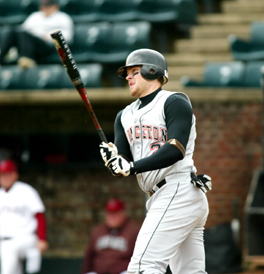 Tim Lahey didn't start his Princeton University baseball career playing like someone destined to end up in professional baseball. As a freshman, the Worcester, Mass. native hit a paltry .220 with two homers. In his sophomore year, Lahey saw more action but hit only three homers. For Mike Brady, the decathlon was the ideal athletic pursuit. It would take an event that includes sprinting, hurdling, long jumping, high jumping, pole vaulting, throwing a discus and a shot, and a grueling 1,500-meter run to sate Brady's thirst for track. The players in the Princeton Recreation Department men's summer basketball league were pumped up for opening night last Monday. If you had ventured to the far corner of the Community Park ball fields on the first Monday in June this year, you would have found an idyllic scene reminiscent of a Norman Rockwell painting. Jacque Brooks first took the field in the Princeton Girls Softball Association (PGSA) 16 seasons ago when she started playing the game as a first grader.